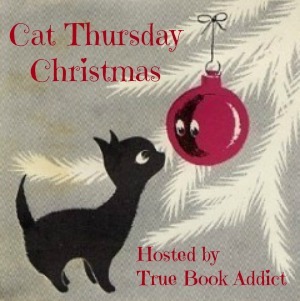 True Book Addict...True to Books: Cat Thursday: Christmas - Joyous Time of Year! 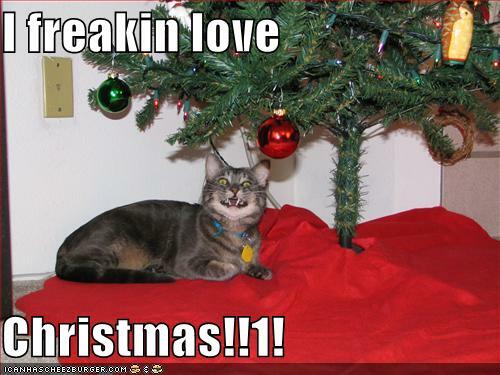 Cat Thursday: Christmas - Joyous Time of Year! Sorry I'm late this week! I went to bed earlier than usual last night and when I woke up this morning, I went...doh! 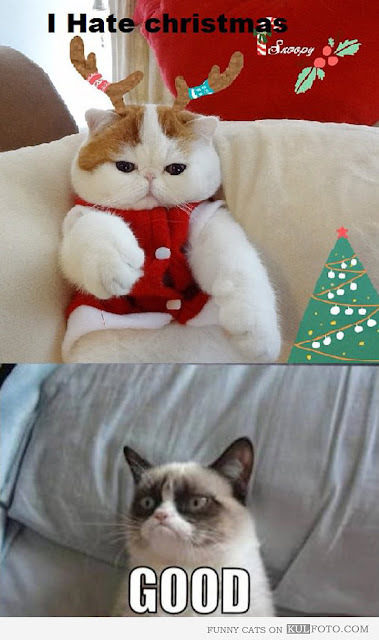 So, it's the holidays and you know what that means...Christmas kitties! Yay! Loving your Cat Thursday Christmas button, its so cute. Adorable and funny graphics, I especially like the one of the cat in their Christmas knitwear. I pondered putting my tree in the front hall this year, by the staircase. 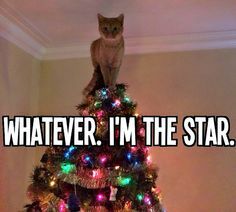 Then I remembered that we have cats and I was totally picturing one of them on top of the tree. Of course, mine are too fat to be there long - they'd end up dragging the whole tree over! Cat Thursday - Happy New Year! 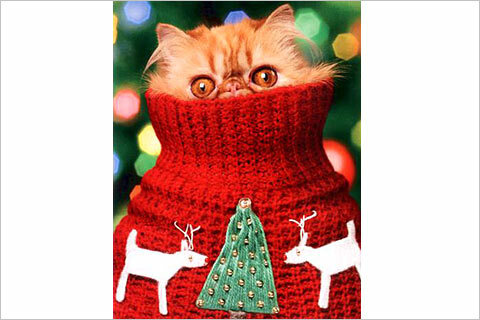 Cat Thursday Christmas - Holiday Hilarity!